For some reason all last week I thought this Wednesday was Ash Wednesday and I was freaking out. Then I was REALLY REALLY glad that I still had another week of procrastinating planning to do. Here are some quick takes of ideas I found along the way. Stacy posted a really great post on Prayer earlier this week. Personal prayer is a place I want to work on this Lent and I’m going to use some of her tips this Lent to better build my prayer life including going to Adoration more. Last year Loyola Press launched a webseries on Lent called, “40 The Series” I am going to work on watching it this Lent (as I just found it). They even have reflections and leaders guides on the website. My mom got a TON TON TON of free samples of different Lenten Reflection books. One for Youth and Young Adults is called The Gracebook. It’s really interesting how it is really trying to relate to youth and young adults by incorporating social media into your Lenten Reflections. Somedays it has a reflection to read and other days it simply just asks you to share about a certain question on twitter or facebook. They have a companion facebook page here you can follow and I’m going to be interested to see how they use the page along with what is in the reflection book. Loyola Press is hosting a really different Lent challenge? Program? I’m not sure what you call it. It’s called, “Other 6.” It’s to help us find God the other 6 days of the week. Now for this program you do have to sign up but once you do you can share with others Where you found God today and where you NEED god today in 140 characters or less and then you can comment on others responses. What I like about this is it can be as anonymous as you want. All that shows up is the screen name so you can pick something no one knows and write away or you can pick your name. The choice is yours. Back in December during Advent I hosted the #AdventPhotoADay Contest and people loved it!! So I’m going to do a similar contest for Lent called #40DaysOfPhotos. I’m still working on the list of Photos. I ordered some stuff that JUST came in so I’m going to work on it over the weekend. Right now I’m planning on Sundays being no photo days but I may just make it 47 days to make it less complicated. What do you think? I feel that way about Lent coming too. I am consoling myself with the idea that Lent is a time of preparation, that this short period of Ordinary Time before Lent is not the time of preparation. Woo, so excited for your Meatless Meals link-up! Oh I like that Facebook page. 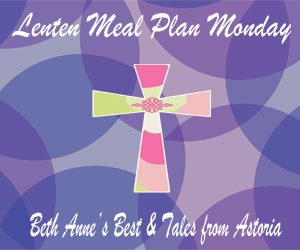 I am all about the New Evangelization, so social media and Lent are a great match up!